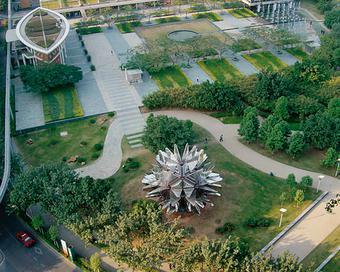 Flower pavilion was situated in an urban park in Shenzhen, China, during the 5th Shenzhen International Public Art Exhibition. 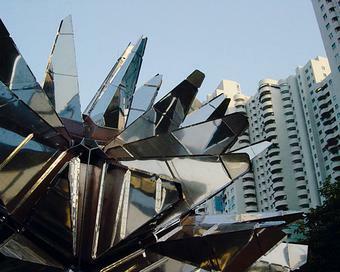 The site-specific work reflected the surrounding park, high-rises, sky, and passers-by in its stainless-steel spiny structure. 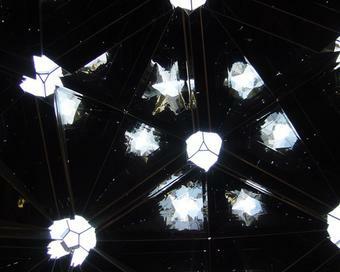 The geometry of the work, developed together with Einar Thorsteinn, was based on an altered rhombic triacontahedron (a polyhedron with thirty rhombic faces). 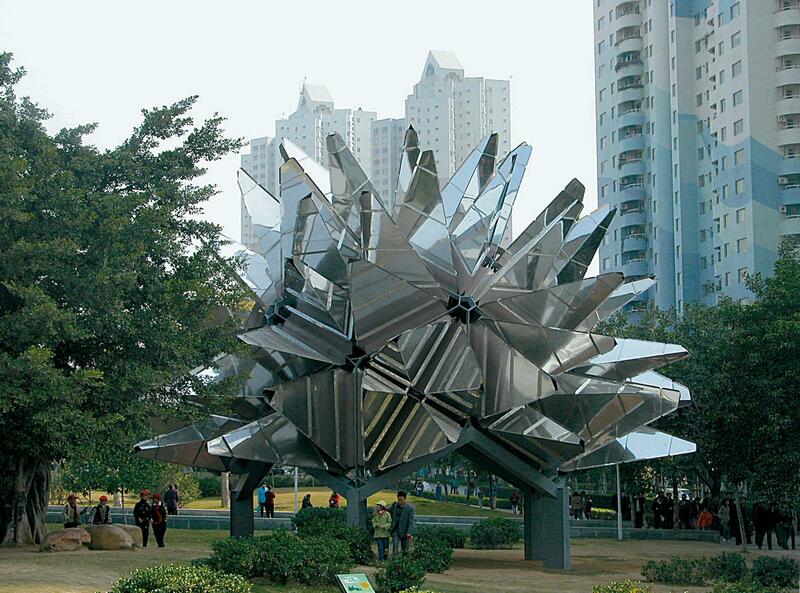 The ten lower faces were removed and replaced by stilts that enabled visitors to walk beneath the work and peer up into its mirror-polished interior. 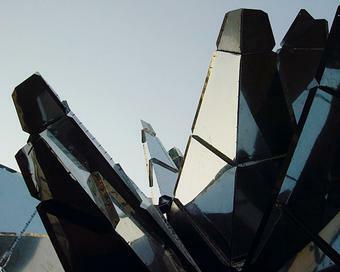 The remaining twenty faces were each embellished with four triangular pyramids, resulting in a flower-like shelter covered by eighty such pyramids. The ends of the pyramids were cut to create kaleidoscopes that could be viewed from below. 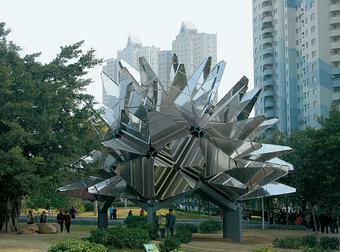 Reflected by the abutting mirrors, the angled apertures conjured sixteen distinct geometrical forms.